The challenge was to create a fantasy suite inspired in a celebrity of our choice. 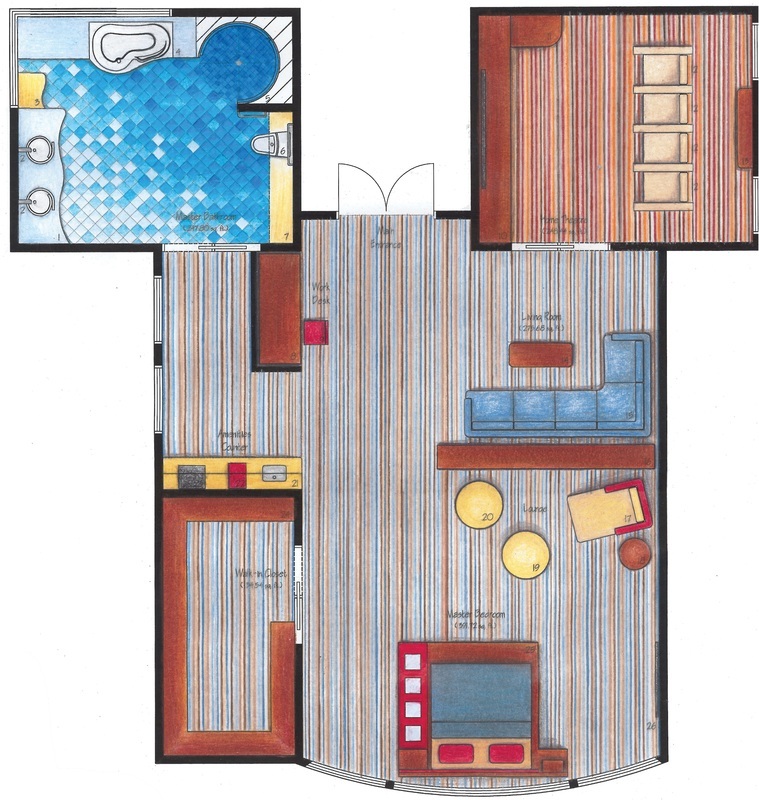 The floorplan was shaped based on Walt Disney's most famous creation, Mickey Mouse. The suite features a home theatre with state-of-the-art equipment. The bathroom tiles showcase a moving water effect that continues to the walls. A large display shelf works as a space divider between the living room and bedroom areas. Contemporary art and furniture are combined with fantasy decor items to create a unique look.